How do anti- wrinkle injections work? We use our facial muscles all the time to show expression, to squint, to frown or when concentrating. As we age skin becomes less elastic and this repeated contraction in the areas of greatest use can lead to creasing of the skin and ultimately to the formation of lines and wrinkles. Initially these will be present only when we are moving our face (dynamic lines) however in time permanent lines may form in these areas of overuse, that are present even when the face is relaxed (static lines). Anti- wrinkle injections or Botox® use small amounts of a naturally occurring protein called Botulinum Toxin Type A which acts to temporarily reduce the contraction of the specific facial muscles that are injected. This relaxation of the muscles prevents the creasing action on the overlying skin and thus reduces the appearance of fine lines and wrinkles. The relaxing actions of Botox® last for around 3-4 months, after this the facial muscle strength will start to return. Popular areas for treatment are frown lines between the eyes (the glabellar), around the eyes (the crow’s feet or periorbital area) and the forehead. 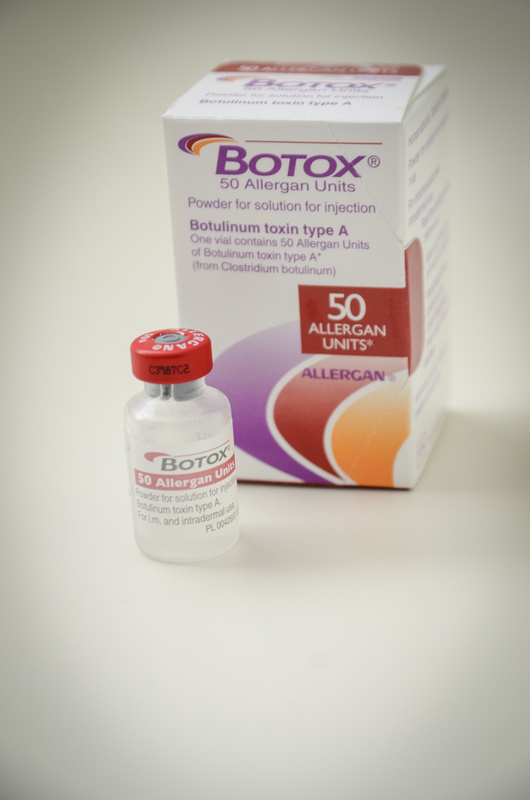 There are a number of different Botulinum Toxin products on the market (e.g. Botox®, Azzalure, Bocouture). I only use the original Botox® produced by Allergan as I believe it to be the safest and most reliable product to achieve the best results for our clients. Botulinum toxin has been FDA approved for both medical and cosmetic purposes for over 20 years with no evidence of long term adverse effects. There are potential side effects although these are mainly minor and temporary, they will be discussed in detail with you at your consultation. Botox is however a prescribed medication and should only be administered by doctors and nurses specifically trained in this area to reduce the chance of any complications. 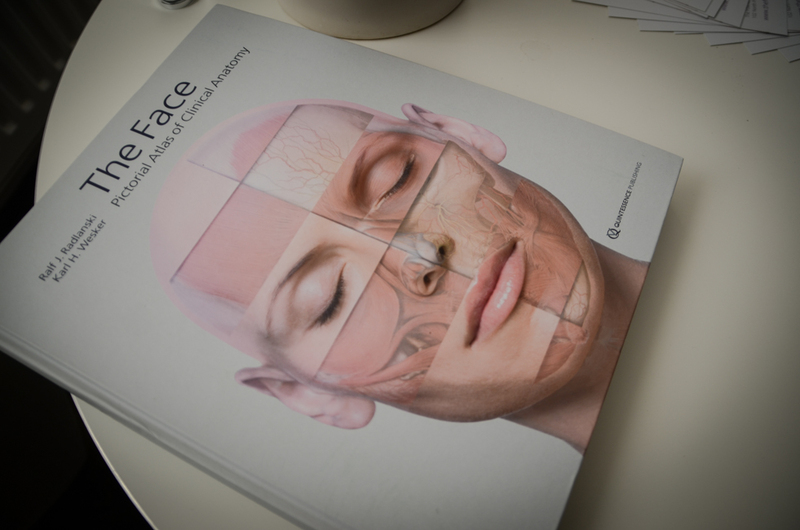 After cleansing your skin, your facial muscles will be carefully assessed and injection points will be marked. Using a very fine needle the Botox® injections will be placed directly into the muscle areas that you have decided to have treated. Most clients experience only minimal discomfort. Depending on the treatment areas you have chosen you should expect to be with us for around 15-30 mins. Most clients are able to continue with their day after leaving the clinic without anybody noticing. Side effects are rare and will be discussed with you at your consultation. Some people do experience slight redness to the skin for a short time but bruising is uncommon and usually fades quickly. It is advisable to remain upright for 4 hours after, to avoid strenuous exercise, rubbing or pressure on the face, extremes of temperature and excessive alcohol consumption for a short time after. We would be happy to tailor the timings of your treatment to take these factors into account. The effects take a few days to be noticeable, by 2 weeks the full effect will be visible. We will arrange to see you for a review in the clinic at this time or if it is more convenient to contact you by telephone.